Hello! Just in case you don’t remember me my name is Jessica Hagar. It has been awhile since my last post but I am here to update you on what I have been doing. I just finished up my first semester of senior thesis. 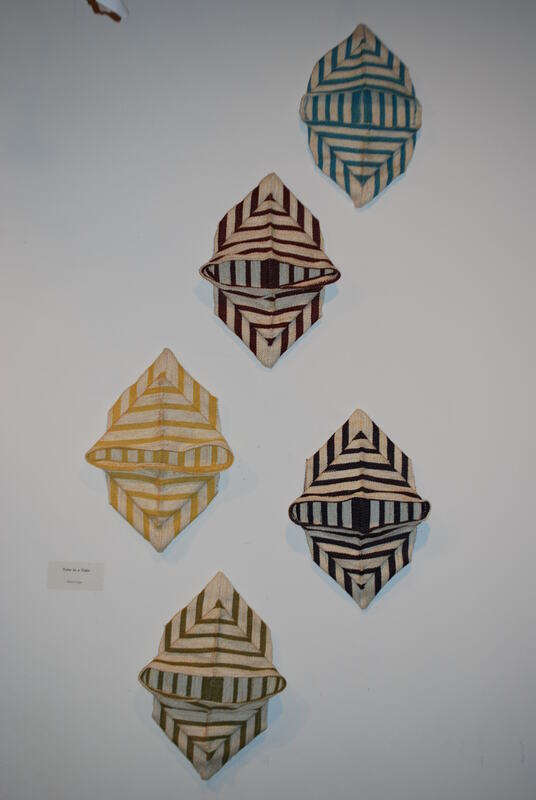 I am working towards creating a body of work to display in a gallery space by May 2015. This is my final assignment as a student at the Appalachian Center for Craft. It has been quite an adventure. I have learned a lot about myself and my working habits and also I have learned how to work through my creative blocks and answer some of my own questions. It has been quite a challenge but I feel I have progressed and am ready for the next chapter. 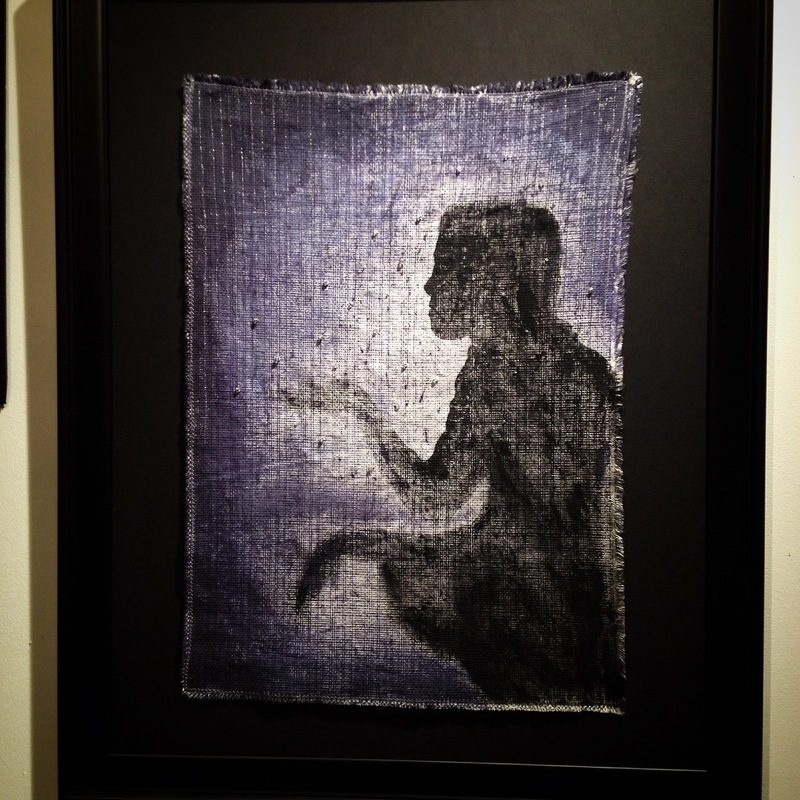 The concept that I have been trying to establish through my work is highly inspired by nature and the human form. The interaction of these two entities and how they can understand one another and be apart of the same space is something I would like to capture visually. I have spent a lot of hours contemplating and searching my mind for some clever or brilliant way of describing it in a non representational fashion, but I continue to bring myself back to the human role in these moments. I realize that it is about the human experience because we can’t see it from nature’s perspective. Although, I find it highly intriguing to attempt to see the interaction from nature’s perspective and wonder what that might look like? Anyways! 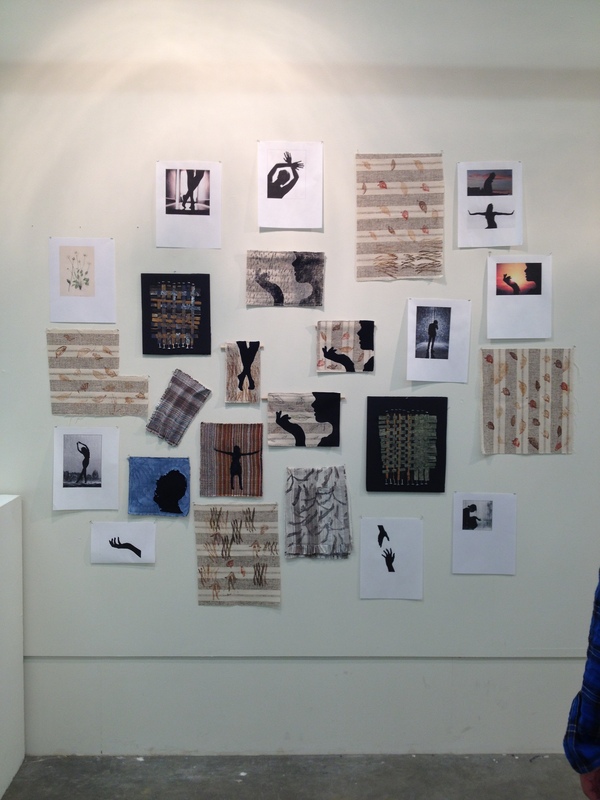 I would like to share a few photos with you of my work throughout the semester…. 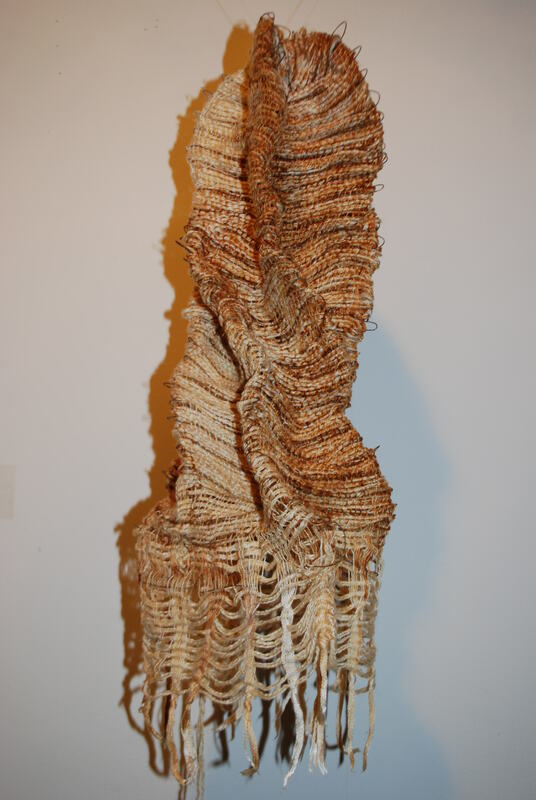 These are some of my very first explorations with the human form and also with linen and embroidery. 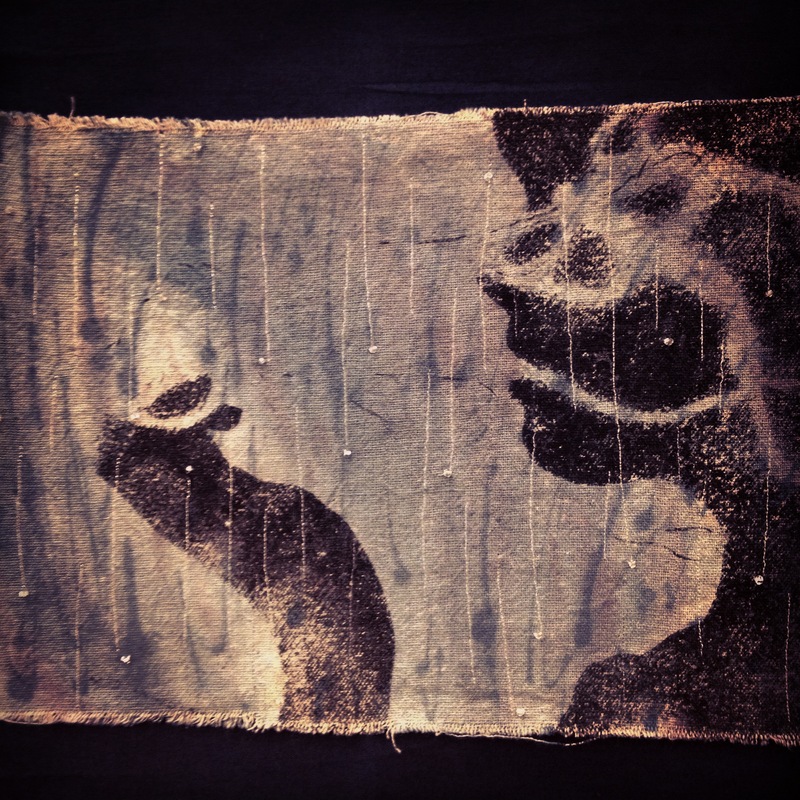 I then found myself exploring the possibilities of painting with fiber reactive dye and adding objects to the fabric such as beads to bring in more dimension and visual intrigue. 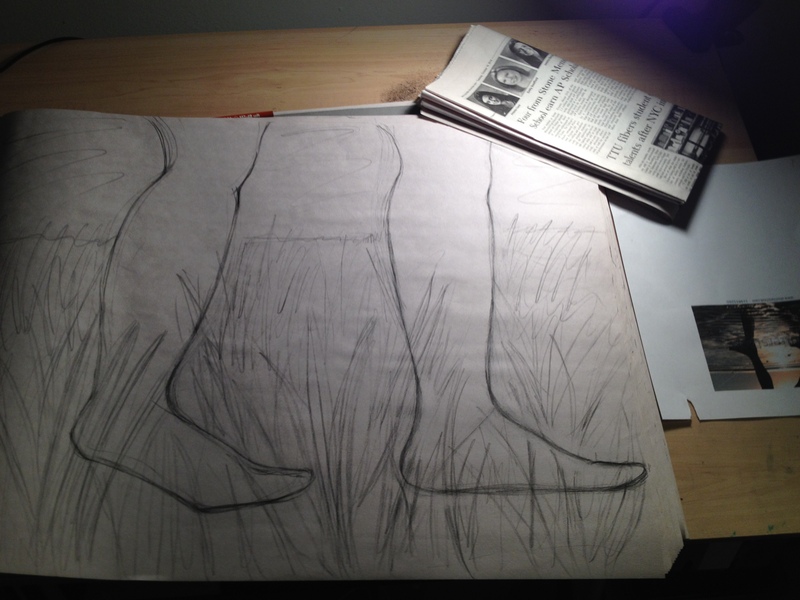 I also began exploring how different ways of printing the silhouette could change the overall meaning and feeling of the piece. These are some of my final pieces of the semester. I took photographs of a friend and then via photoshop translated them into silhouette forms. I then printed them with fabric ink and painted them all with dye. 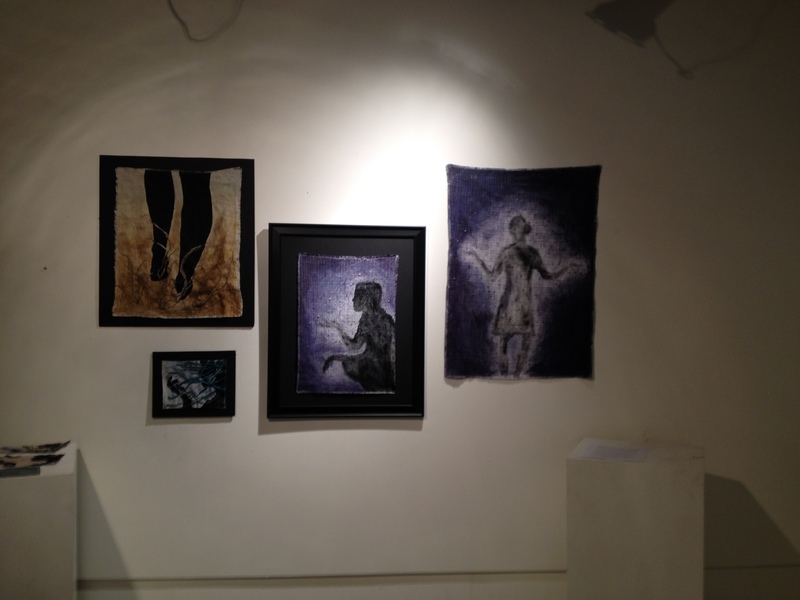 I stitched metallic thread and beads to symbolize rain like qualities in a couple of the pieces. I plan to continue working on these and also I plan to work with more transparent fabrics. I will be back soon to show you my progress. Thanks for reading! Final day is here already! 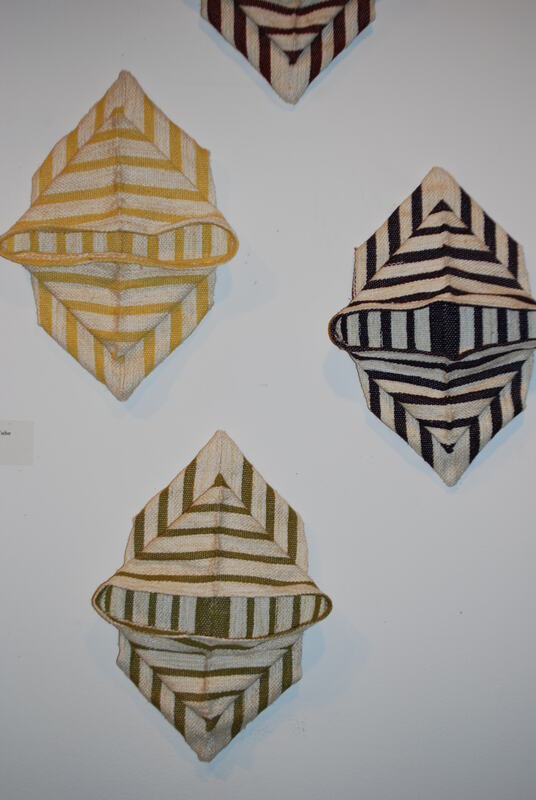 This is Jinni and I thought I’d share some picks of my finals in weaving 2 this semester. 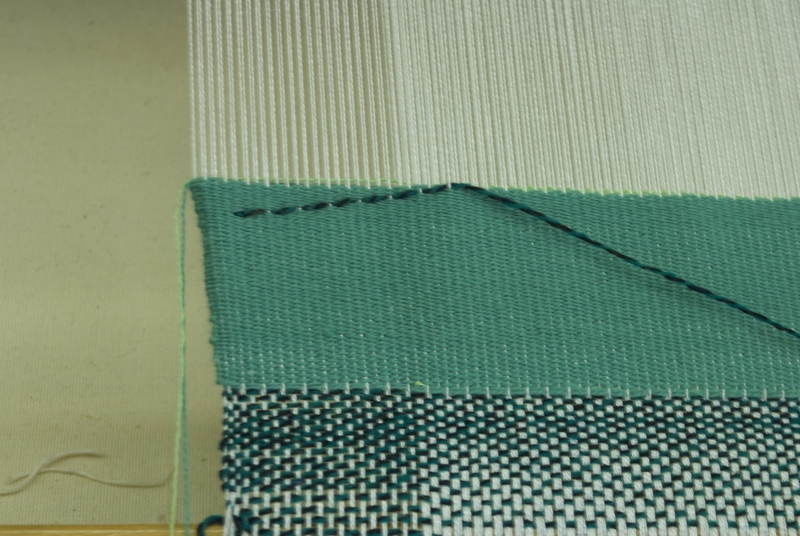 This is my first weaving with metal in the weft. I did some rust dyeing to see what the galvanized metal might do. It rusted it well and I was able to form an organic shape because of the metal. This was my second and last project in Weaving 2. 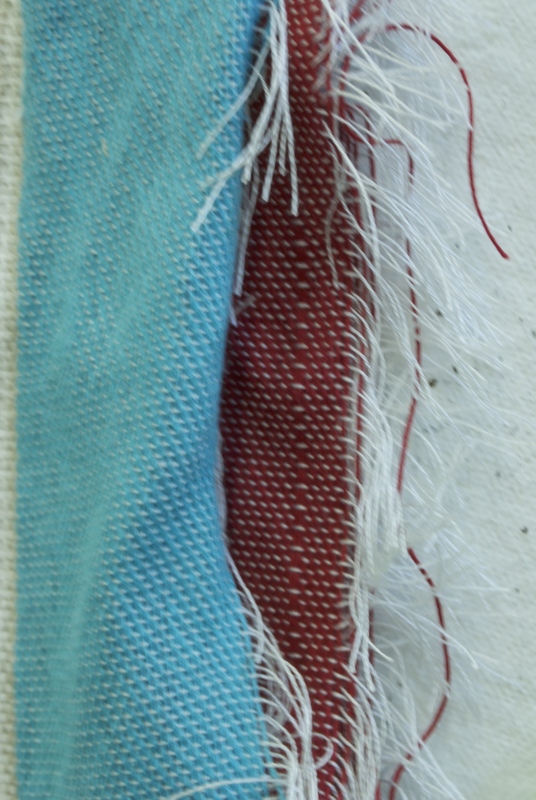 These came from the tube in a tube weaving project. I formed the shapes and stitched them down, although it still retains some dimension. I really found the stripes to be interesting with this project. For stability, I put some board in the back of the pieces, which also became the hanging devise. 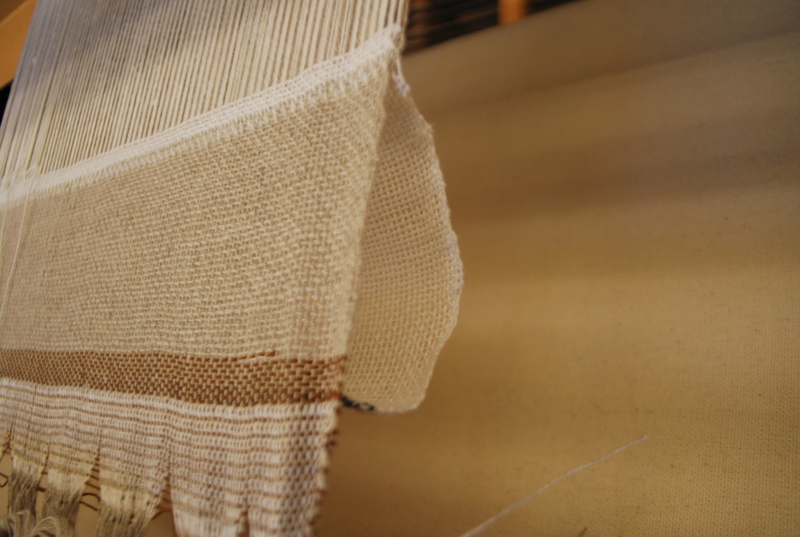 The picture above is my weaving when it was still on the loom. Each colored section is a tube with a tube inside it. By doing a tube in a tube, it allowed me to work with the tubes attached to each other. 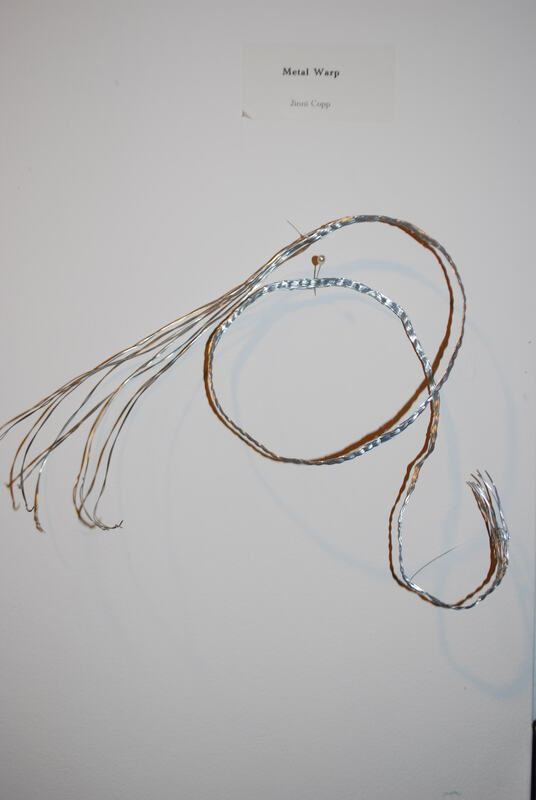 I then separated the tubes and was able to hang it on the wall as separate pieces. 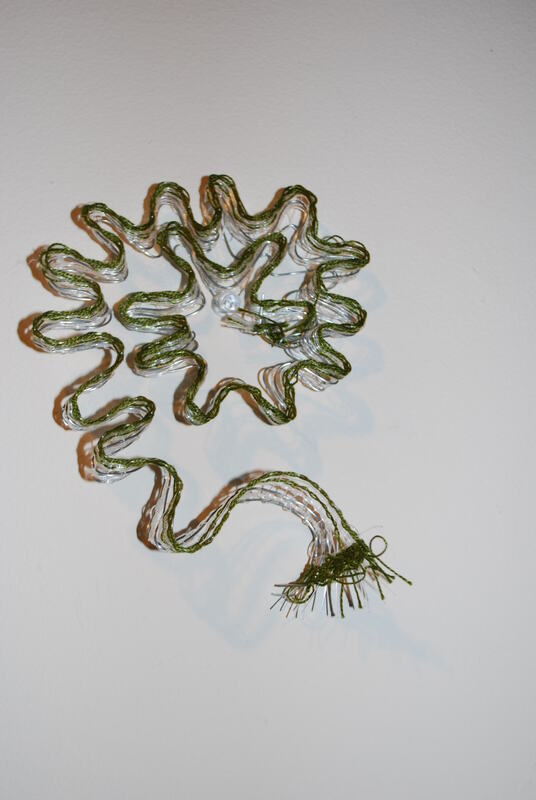 These are my wire in the warp studies that I did for a part of final. 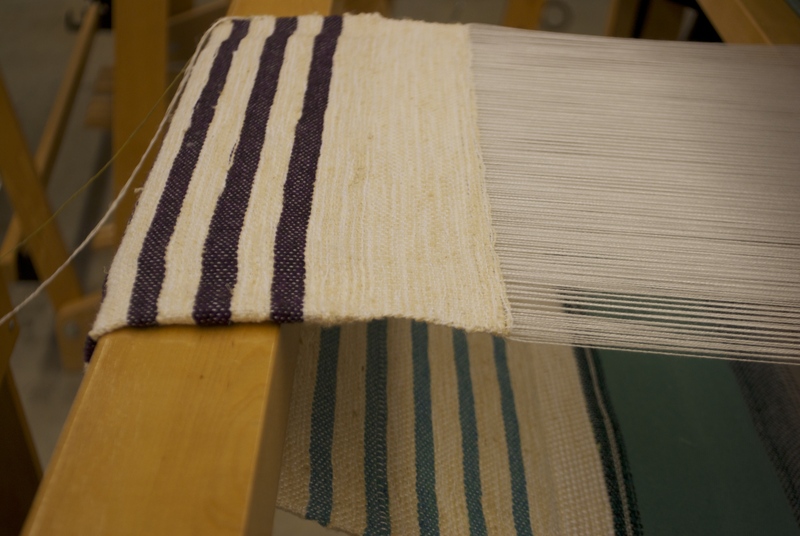 I wasn’t sure how difficult it would be to put wire and fishing line in the warp, and it turned out working quite well in the end. I was inspired with working the metal in the warp and will probably continue with it into my thesis. Happy Holidays everyone! Since the last post, I have been experimenting with the tube in a tube weaving structure. 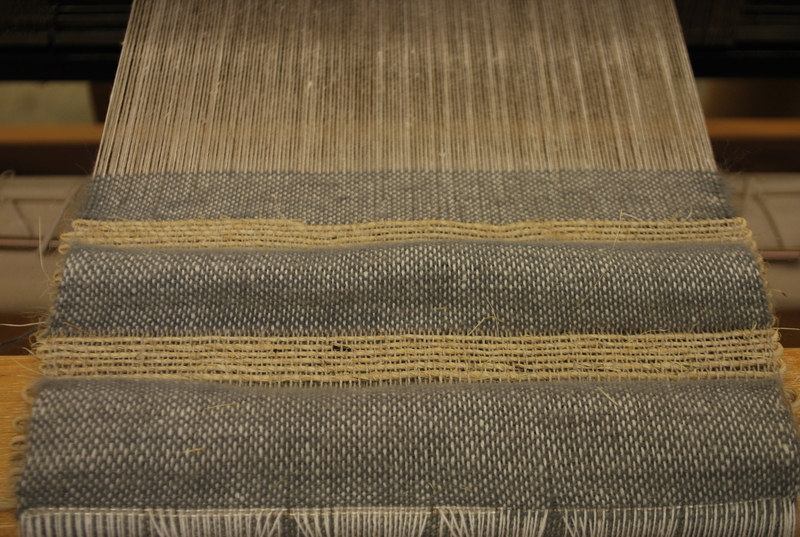 I started out using linen and cotton for my first samples, and was using the lace weaving techniques I tried in my last project. I used wool for another sample as you can see below. 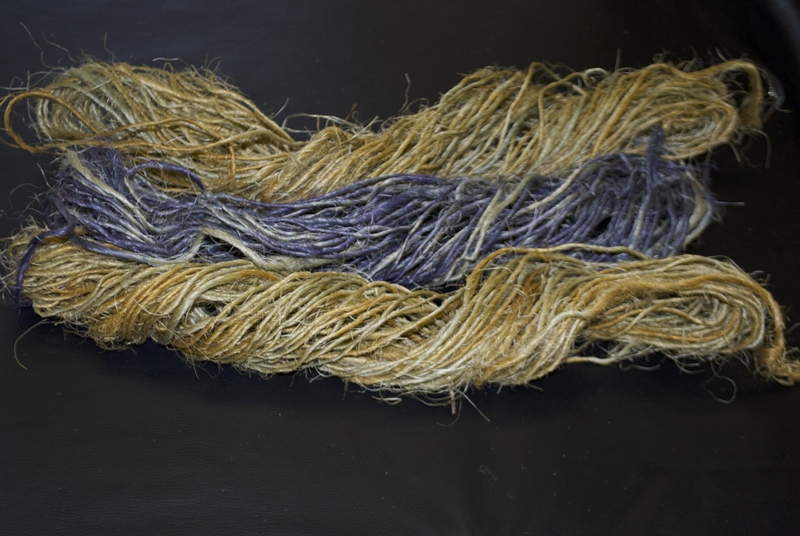 I had some sisal yarn laying around and also decided to do a sample with it. It isn’t a very cozy fiber, but I really like it’s attitude in that way and have since decided to use it in my final. 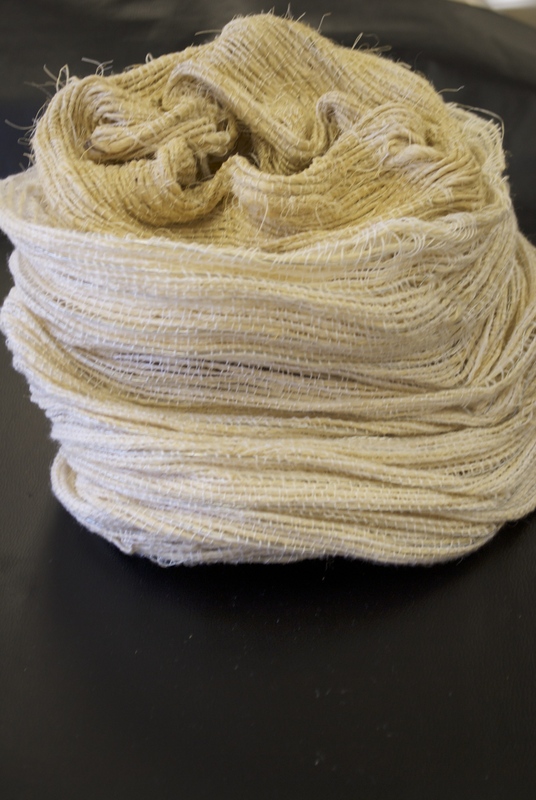 Sisal fiber tube in a tube. 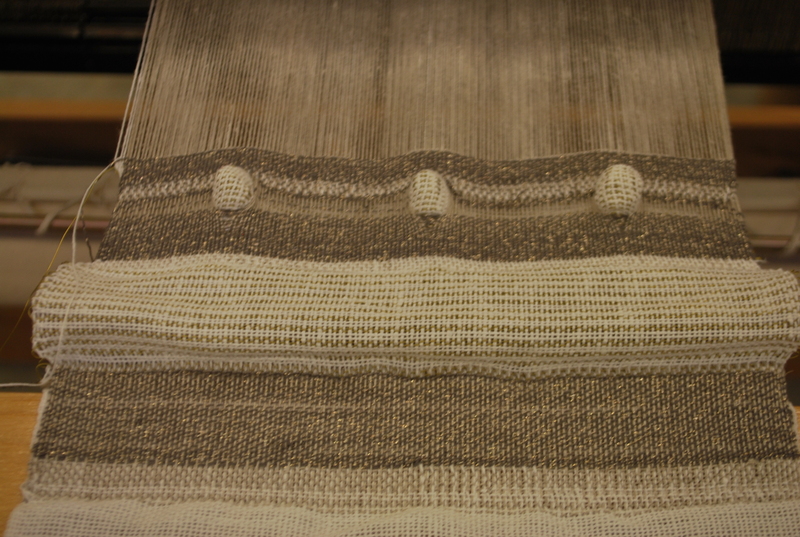 I also used cotton with the sisal fiber. This ended up creating a different structure than what I had sampled before. I put some metal in the outer tube with the cotton and used the sisal in the inner tube. 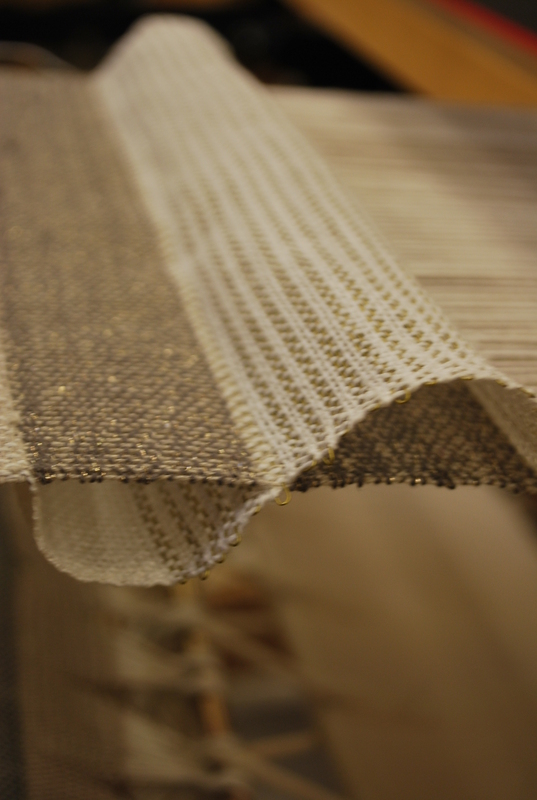 I decided that the structure of this sample was what I wanted out of this weaving, and that I would try dying the sisal fiber since I enjoyed having the color on my other samples. I have started on my sampling for my final project and have been using cotton and wool so far. The wool is the colored stripes. I am excited to see how this turns out, and have plenty of work to get back to, so until I finish my finals…over and out! Sometimes I just can’t be-weave how much potential there is with doubleweave! So this semester, I thought I’d start running in many directions. 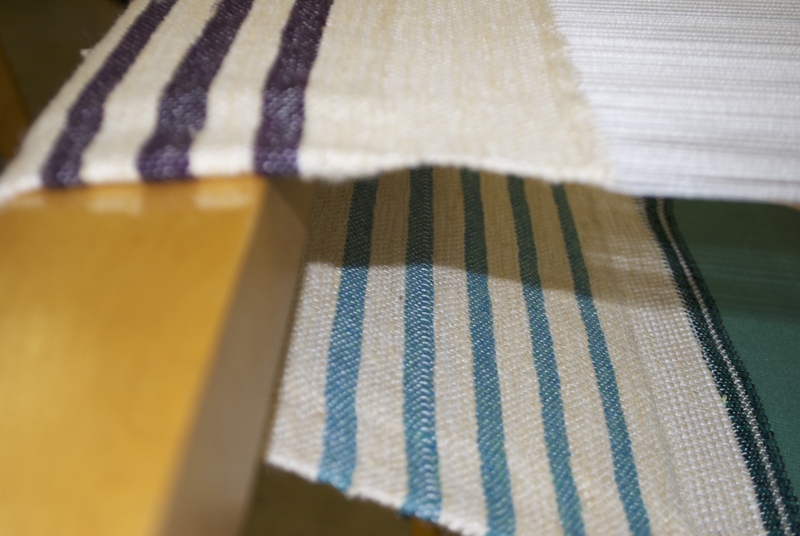 Linen is my new found love, so I’ve used it for my entire warp for my three samplers. For my samplers, I want to pursue the possibilities of lace, metal, and wool techniques. 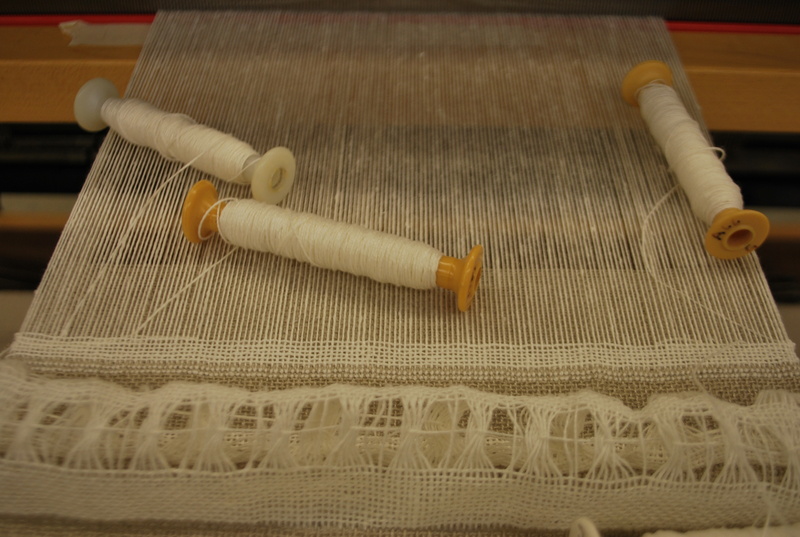 I started using lace techniques that were developed for loom work. 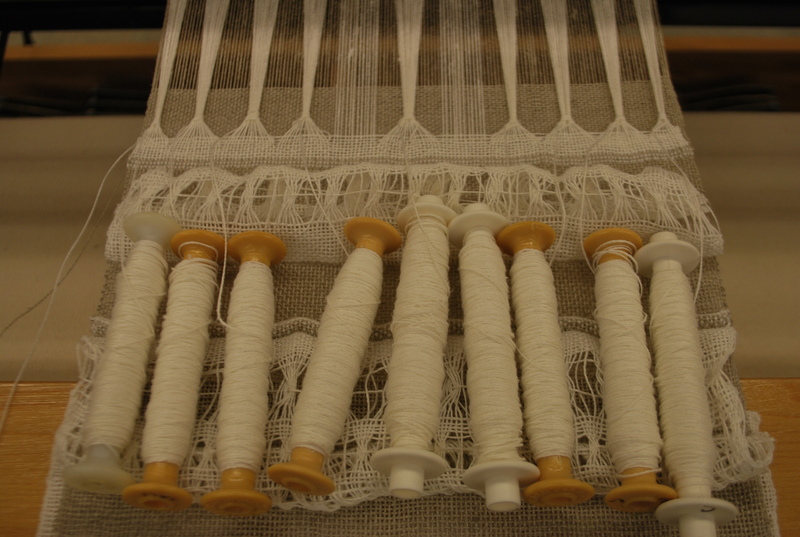 Then I started looking at bobbin lace and thought I would give it a try on my loom. 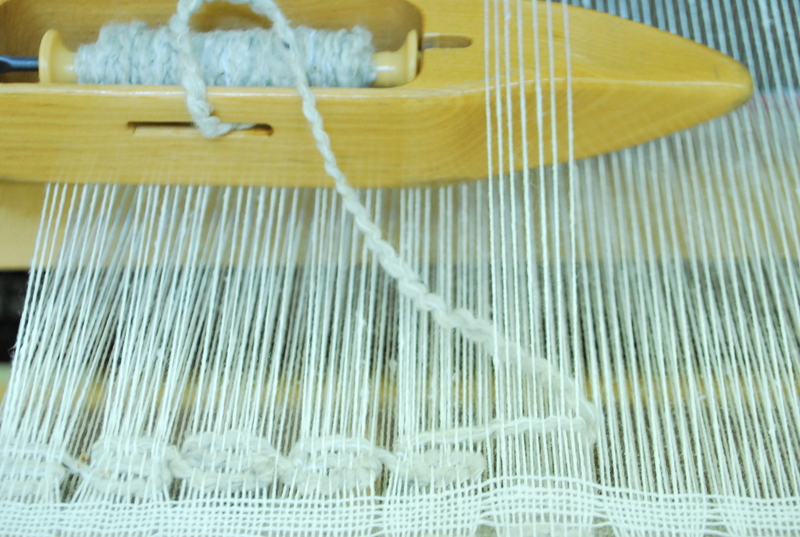 After many hours of tedious labor, I decided that this worked better in theory than on my loom. Well, at least I had some good results out of the other lace samples. And I started sampling with metal wire. I have really enjoyed the potential of this material so far. Using the metal, I started picking up where I left off with my final last year. 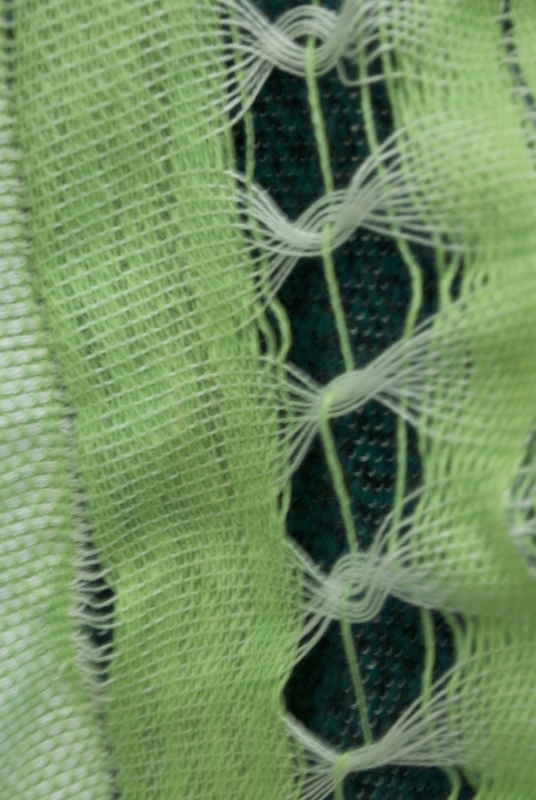 Since there is no support inside the buttons, working with the metal helped to keep the structure raised off the woven surface. Here in the Fibers Studio, we recently completed a t-shirt printing commission for the September Second-Saturday Open House at the Craft Center. 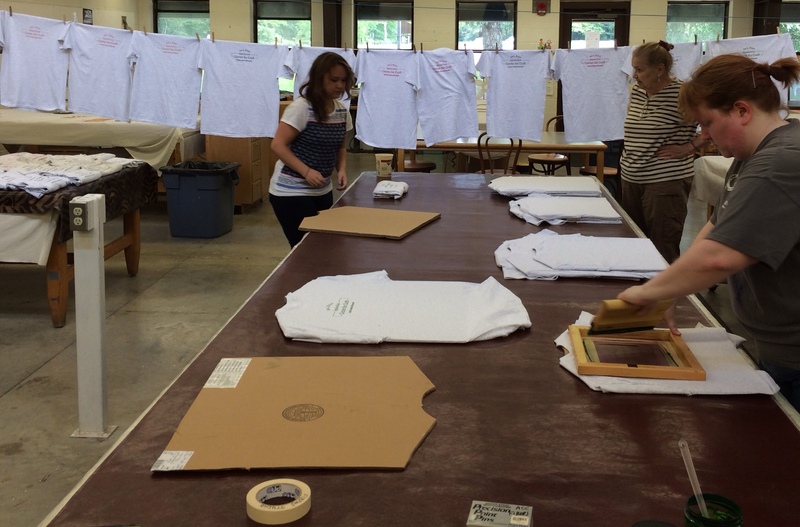 Senior Fiber majors, Beth Bradford and Jessica Hagar, and Fibers Artist-in-Residence, Kelsey Wiskirchen, printed 100 t-shirts in various colors. From this project, we learned the efficiency possible with a team. While one artist printed, the others prepared the t-shirts and hung the freshly printed shirts up to dry. After the printing process was complete, we all heat-set the ink and boxed the shirts up to complete the commission. 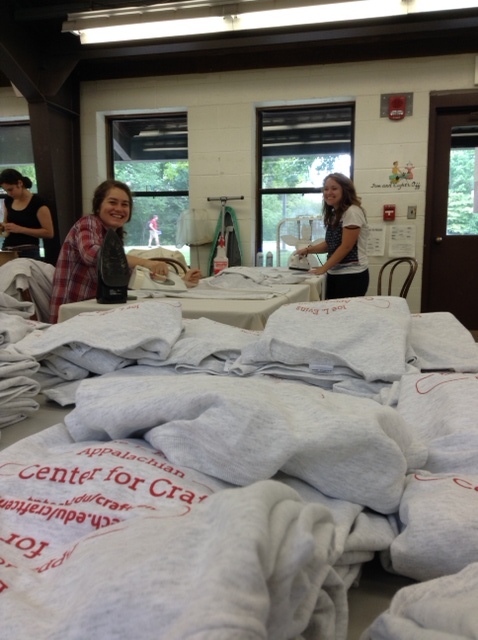 The t-shirts were given for free to visitors at the Craft Center on Second Saturday. Welcome to the new semester! 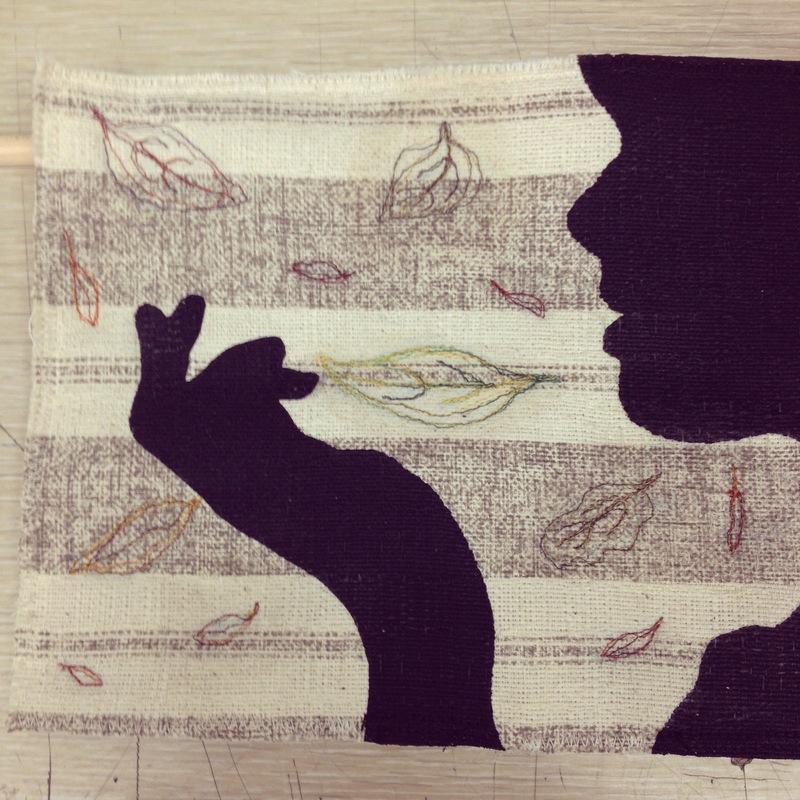 Things are picking up in the Fibers studio and we are excited for all that is in store for this fall. The looms and print tables are back in action! 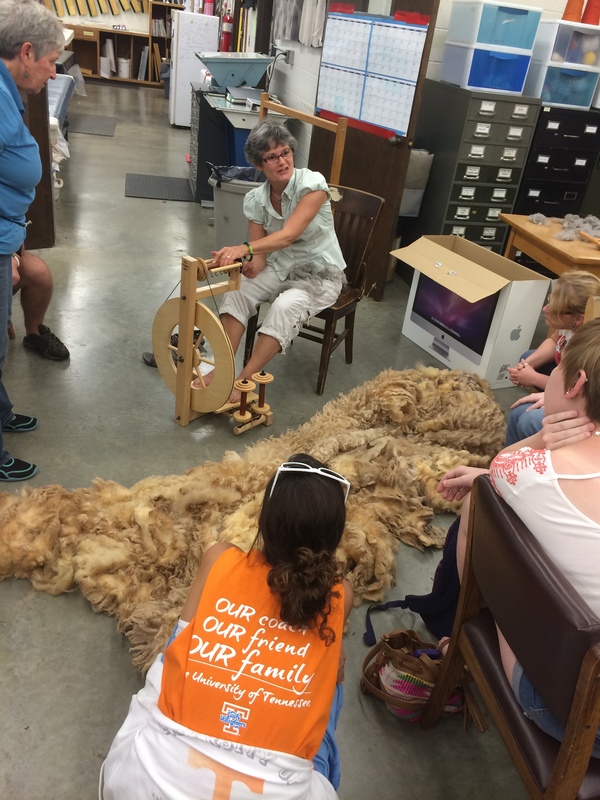 Pictured above, Fibers Professor Jeanne Brady is demonstrating spinning wool into yarn on the first day of classes. 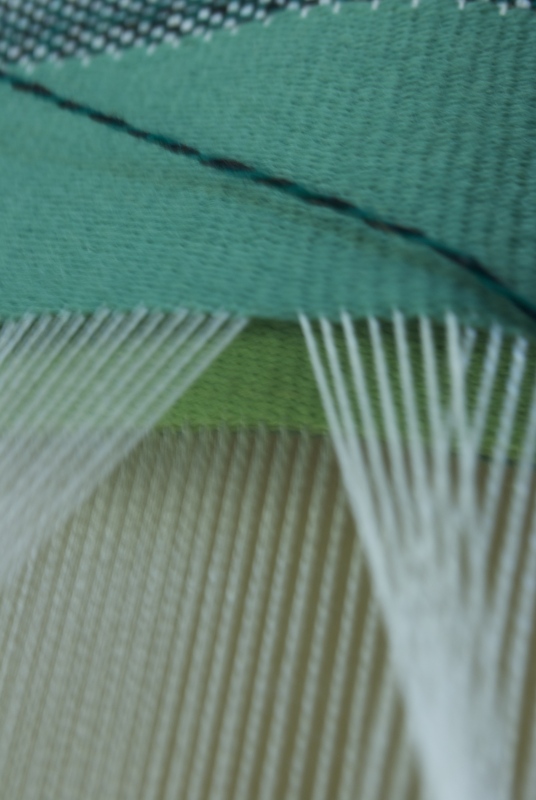 Stay tuned for updates from students in Weaving and Surface Design. I mentioned in my previous post that I’m in my first semester of thesis, and it’s a little overwhelming. There are so many things that I want to do, so many things that I haven’t tried, that I barely know where to start. It feels as if the things I’m working on and experimenting with are unconnected because they’re so varied, but since they all come from me, how can that be true? Especially considering that my theme revolves around connection: connection to community, friends, family (whether blood relations or chosen family), etc. It’s the thing that brought me to the Fibers major and the Craft Center in the first place, so I’m trying to come full circle and, for lack of a better term, complete the circuit. So what am I working on right now? A piece about my connection to the knitting and crochet community, supported by the people who share my enthusiasm for the processes. 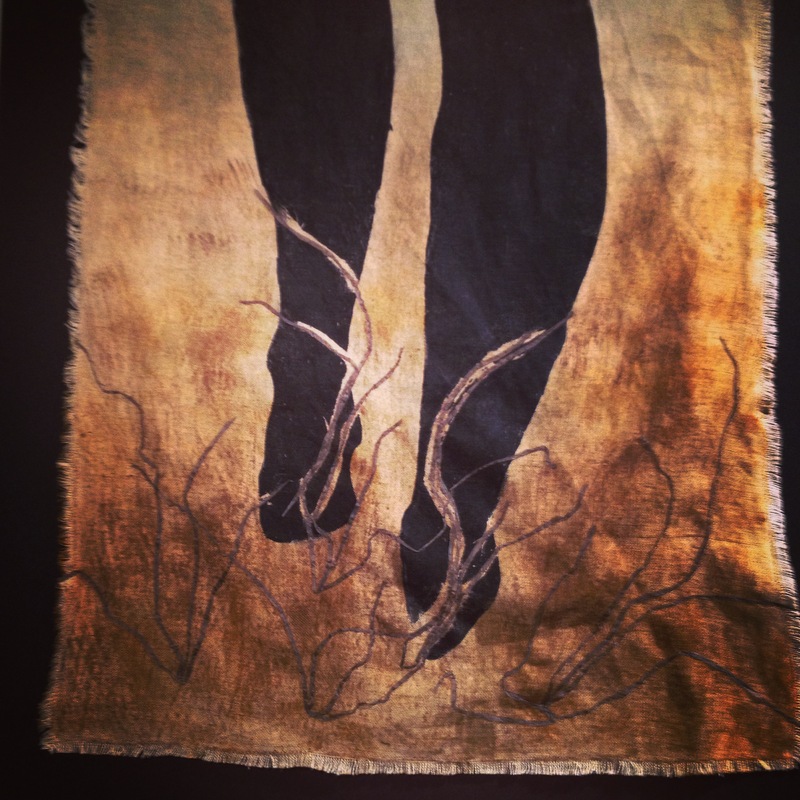 One about my family and the way textiles form a link through the years to previous generations, or from them down to me. And I’m working through an idea about how I connect to the geek community through my love of genre television, books, and movies, and especially my love of costuming at conventions. I’m not quite sure where this one is going right now, because I’m taking it in a couple different directions, but hopefully one or both of them will work well. They might even be two parts of a whole. We’ll see. So, how do you connect to people?